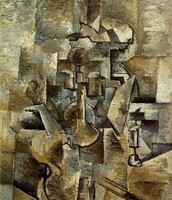 Cubism was first created in Paris by artist Pablo Picasso, and Georges Braque somewhere around 1907-1914. Those who followed the movement rejected the concept that art should copy nature, or that they should adopt the traditional techniques of perspective and showing depth in their work. 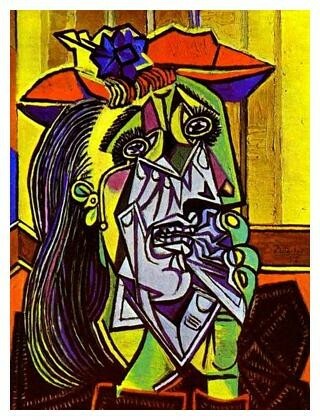 Instead, they wanted to emphasize the two-dimensionality of the canvas. 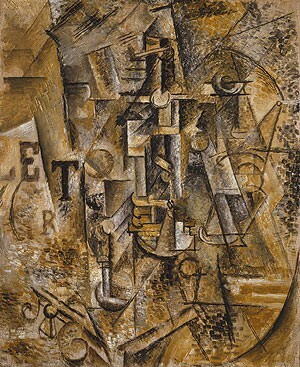 In doing this, they reduced what they painted into seemingly choppy geometric shapes and figures. 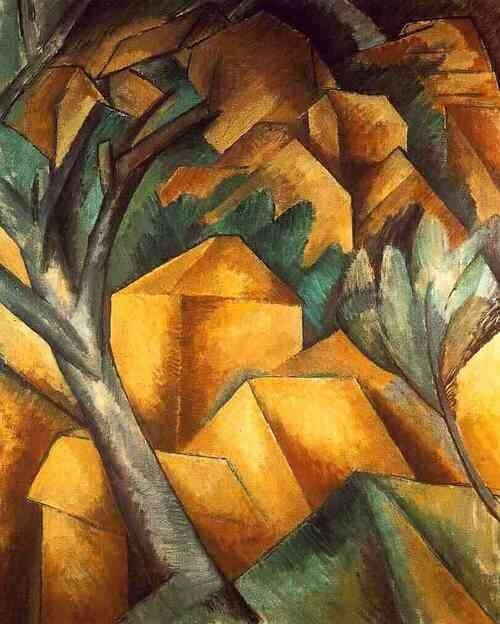 Early subjects in Cubism paintings were hardly recognizable, but as time went on, subjects became easier to identify. 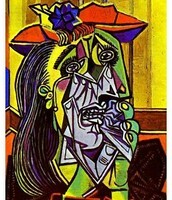 But with landscapes being rare in this movement, most paintings were of still lifes or the human face and figure. -This phase began in 1912 with the used of flatter and more colorful shapes. 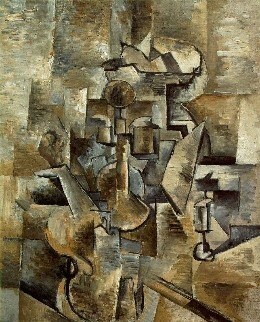 During this phase, Picasso and Braque also glued cloth, newspaper, and other materials directly onto their canvases. This technique became known as collage. 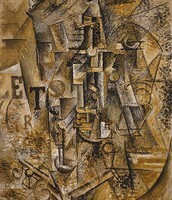 -Cubism inspired aspects of Futurism and also Russian "suprematists" who took the art movement to a whole new level. Even some cubist techniques are still used in today's artwork (especially collages). 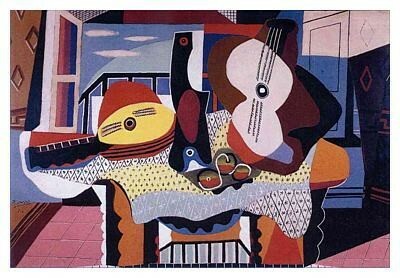 "Still Life with Mandolin and Guitar"
This is my favorite piece of work from the cubism movement because it depicts the artist who basically started it all in clever way. 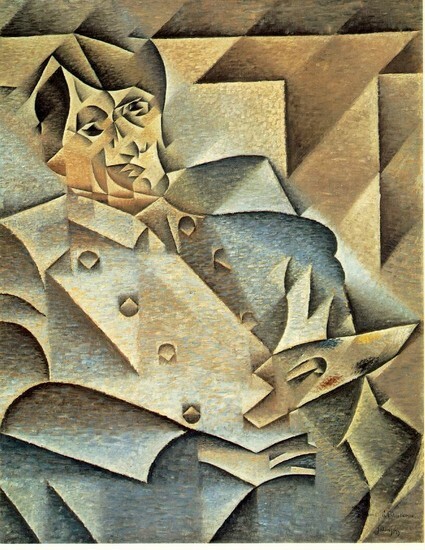 The artist of this piece, Juan Gris, was a friend and fan of Picasso who was dubbed as "Picasso's disciple". He uses fairly muted colors with a yellow tone, and shows a sense of balance with the geometric shapes and patterns that he uses.